Re: Truck covers, what do you got? Do you want a hard or soft cover? For a soft cover, I highly recommend the AccessCover brand. I had one on my truck for over 10 years and it held up perfectly. On my new truck, I went with a hard cover. I looked around a lot and went with the Lomax cover. http://www.agricover.com/lomax/ Extremely happy with it. It's a tri-fold but unlike others, you can pop it off very quickly when you don't want it. There's similar covers out there but I didn't like the ones that have drains in them where you need to run drain tubes through your bed (and drill holes through your truck bed). You didn't mention what truck you have but if it doesn't already have it, I recommend you look at a tailgate seal. They're about $20 but do work well at keeping water and dust from coming into your bed around the tailgate. Since we're spending all your money, also consider getting some bed lighting (that goes under the rails). 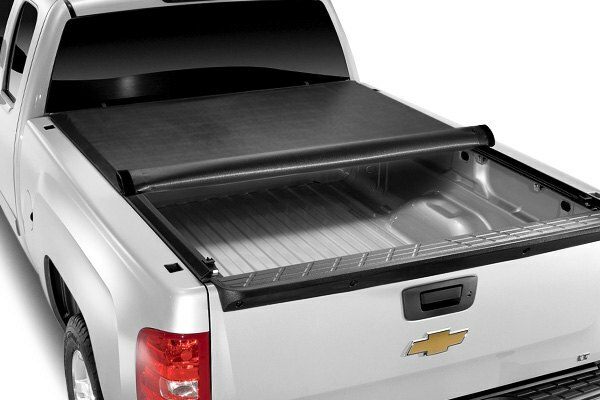 With a tonneau cover in place, your bed light on the top of the cab is pretty much worthless. For another level of cargo protection, when I know I'm driving in crappy conditions, I like to use hitch cargo bag similar to what's pictured below. These are large cargo bags normally used on one of those hitch racks but I put all my stuff in it and it rides in the bed of the truck. If you are looking for soft, I have had a Leonard tri fold for several years with good results. It has been completely waterproof and removes and installs easily. I have this one. Like it a lot. This is what I have on my truck. So far it's been good. Handles the snow good. I haven't had any problems with it the two years I've had it. It's a tonno pro. I got it on ebay for I believe $178. Yep, lots of good options in both the hard and soft variety. I have the Trifecta soft tri fold and love it. The other day I saw a soft convertible like cap on a pickup. Never saw one of those before. I previously had an Extang on my last truck. Presently I have a Downey and like it real well. Good tips especially on tail gate seal, thanks. A buddy here been recommending his one piece Undercover, looks good and sturdy yet doesn't fit my need especially when hauling tall stuffs. I'm gonna take a look at Access, seen lots of good reviews online. It will be more likely a tri-fold. Previously looked at Truxedo Lo pro yet not sure how that will handle snow if we encounter. Can't speak for the Truxedo in particular but I'm pretty sure most of the quality soft covers can handle snow. The hard covers would have no issues. The LoMax hard tri-fold I installed markets it showing 2 big guys standing on top of the cover when installed (but I can't find the video right now ).